Triumph Daytona 675, a middleweight sportbike from the British manufacturer, was primarily launched in 2006. 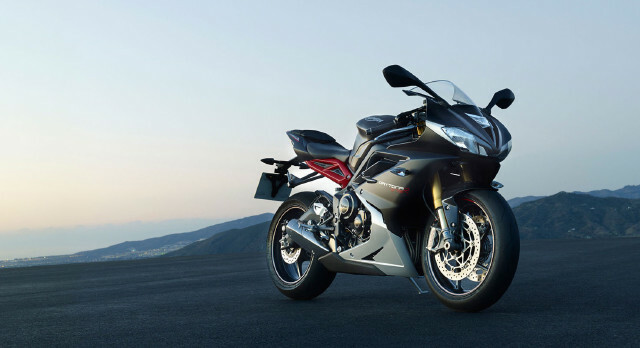 That time, it became the part of brand’s flagship portfolio by replacing the existing four-cylinder Daytona 675. Since it’s introduction, the motorcycle has managed to maintain a cult position in a high-level competition with the on sale several products like the Yamaha YZF-R6, Kawasaki ZX-6R, and the Honda CBR600RR in the premium sportbike segment. Besides being a good position in the motorbiking world, the Daytona 675 has observed a sort of few updates on the name of modern techs like the ABS system and slipper clutch, over the years. But now when the stringent Euro IV emission norms are going to comply soon in the next year. The Triumph is contemplating to discontinue this sportbike from its European markets. However, the waving reports have clearly signified the Daytona 675 production discontinuity at the Hinckley production unit. Whereas, the Triumph’s Indian subsidiary did not officially reply a word in this matter. During the 2016 EICMA in Italy, there were rumors that Triumph was planning to introduce a substitute of the Daytona 675, in the form of a newcomer developed on an all new chassis with the bolted Triumph Tiger 800’s three pot engine. But there was no information about anything like this going to hit the event.